This year's Specialty Equipment Market Association trade show, or SEMA for short, was held from November 4th to 7th in Las Vegas, USA. 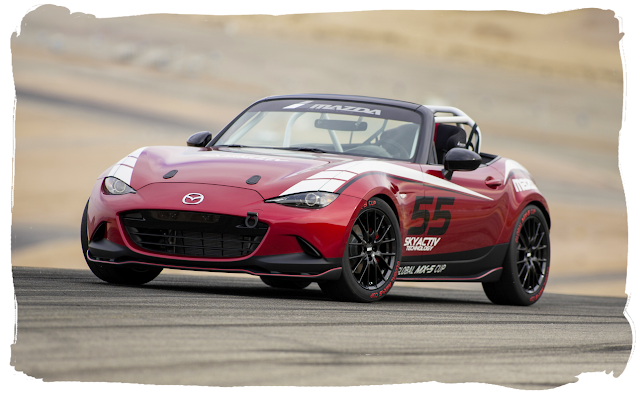 Mazda used the event to announce plans for a new one-make race series using specially modified versions of the fourth generation MX-5. Starting in 2016, race series will take place in North America, Europe, and Asia, an event Mazda is calling their MX-5 Global Cup. At the end of the season the highest placed drivers will be invited to compete in a shootout at Mazda Raceway Laguna Seca in California, this will determine the overall winner. 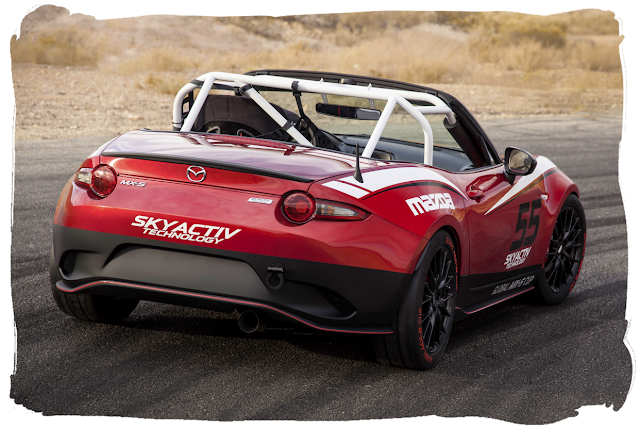 The grand prize being a chance to test Mazda's skyactiv prototype racer currently competing in the TUDOR USCC championship. 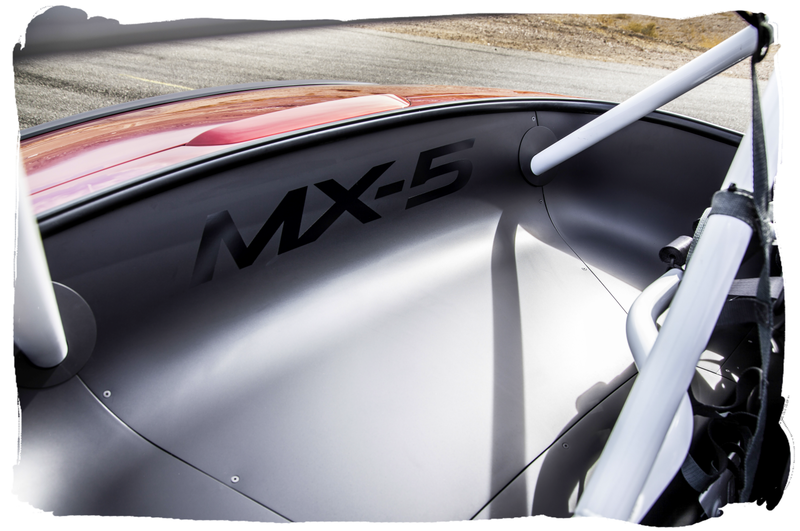 The MX-5 Cup cars will be sold race-ready so that each competitor has an identical car. Final specifications for tyres, suspension, and safety modifications are yet to be determined but each car will use a 2.0 litre Skyactiv-G petrol engine. 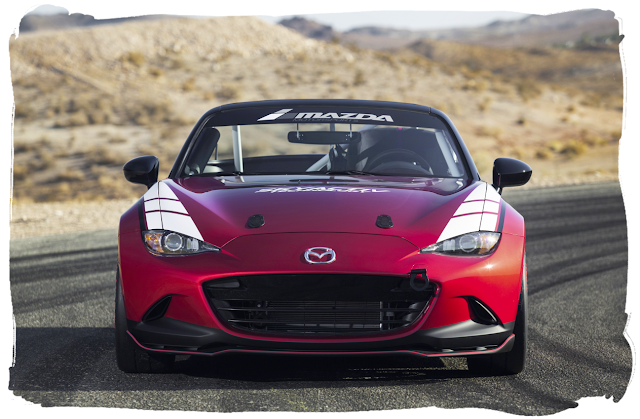 To give us an idea of what a race prepared ND MX-5 would look like, Mazda unveiled the Cup Concept at SEMA as part of their announcement. 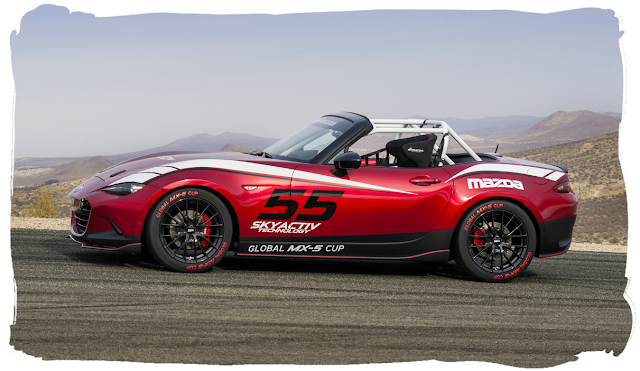 The car features Mazda's motorsport colour scheme of red/grey/white, along with the iconic number 55 as a reference to the 1991 Le Mans victory. It has a similar overall look to the earlier Super25 concept but without a hardtop. The exterior features new aero parts with a front air splitter, small side skirts, and a rear skirt along the underside of the bumper. There is also a subtle bootlid lip spoiler - I wonder if these parts will be available as shop options when the new car is on sale? The standard exhaust has been replaced with a larger single exit design, and the additional lights in the rear bumper are replaced with black mesh. There are also Brembo big brakes up front, BBS alloy wheels, front & rear towhooks, a shortened radio antenna, and some bonnet fittings. 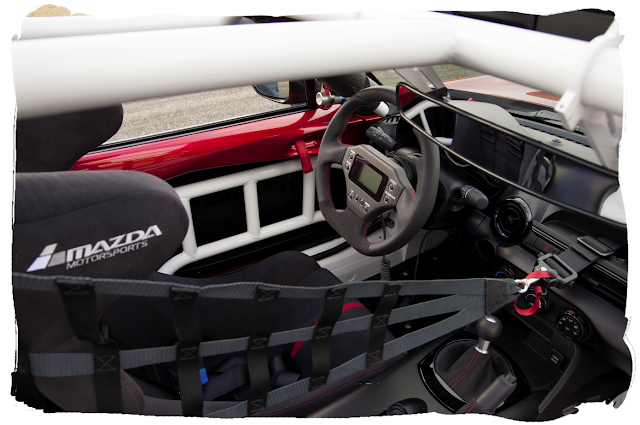 Inside the car, the interior has been largely stripped out and replaced with custom panels and a substantial rollcage. A single black suede racing seat is fitted along with new steering wheel and safety netting. The ND race cars will make their debut in 2016 with 2015 being the last official season of NC racing.